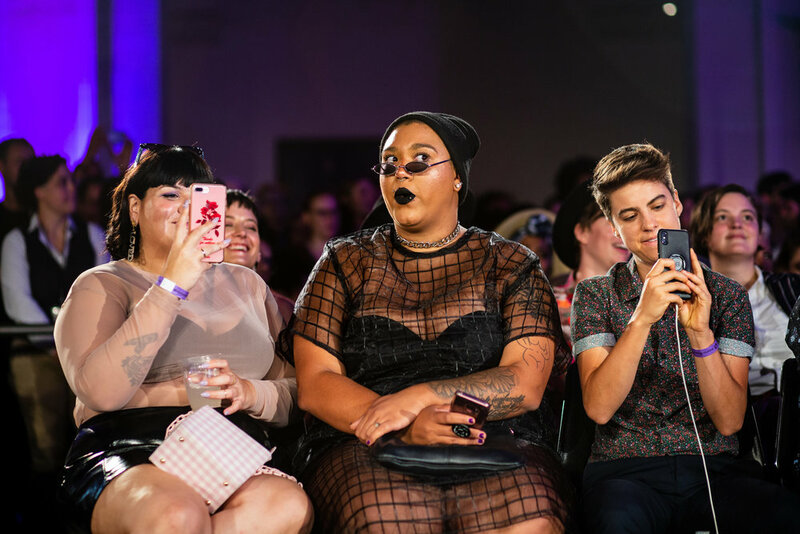 If you couldn’t make it to DapperQ’s 5th annual NYFW show, Dress Code, you missed out on some serious LEWKS (that’s how the kids say fashion). 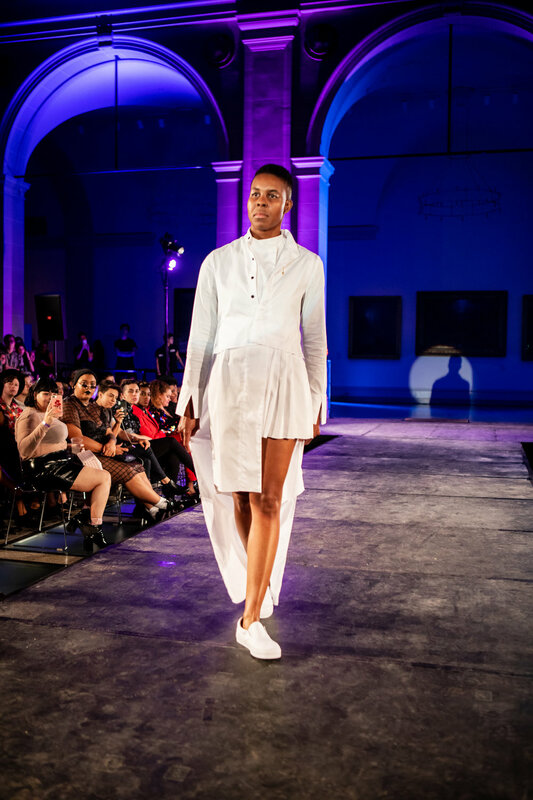 The show, which is the largest LGBTQ New York Fashion Week runway show held at the Brooklyn Museum, highlighted queer style, but more than that, it broke barriers that have been part of the fashion industry for years. When I first arrived at the show, the vibe was a sneak peek at what was to come. Brooklyn Museum’s main hall was grand enough for the occasion, with time to browse the fashion that was for sale, and also admire the ensembles of everyone attending the show. McCann’s own Nina Kossoff, who worked with DapperQ to produce the event, kicked off the show, introducing the first designer—a lineup which included A/C Space, Audio Helkuik, Jag & Co, Kris Harring Apparel Group, SALT, Stuzo clothing, The Phluid Project, TomboyX + Squirrel Vs. Coyote and THÚY Custom Clothier. When the show started, no one could tear their eyes from the runway. I was wowed to see a show that highlighted not only gender non-conforming fashion, but also models of all ages, sizes, ability, and color. I was astounded by the energy in the room—the joy and cheers of the crowd while the models strutted down the runway. Each model was proud to be there, and comfortable in their own skin while they worked the hell out of the clothes they wore. Each look was unique, inspiring, and very fashion-forward (or at least was from my non-fashion perspective). 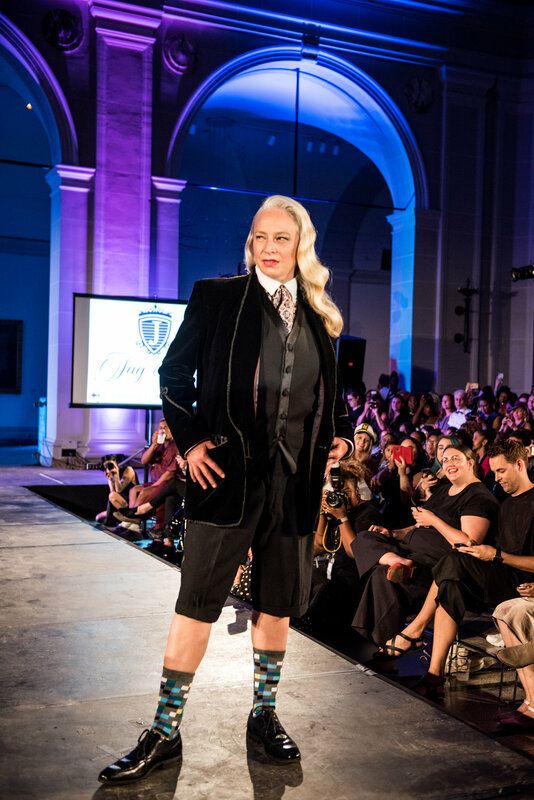 Check out the designers involved and should there be a 6th annual show from DapperQ—it’s a can’t miss event.